Hey all! 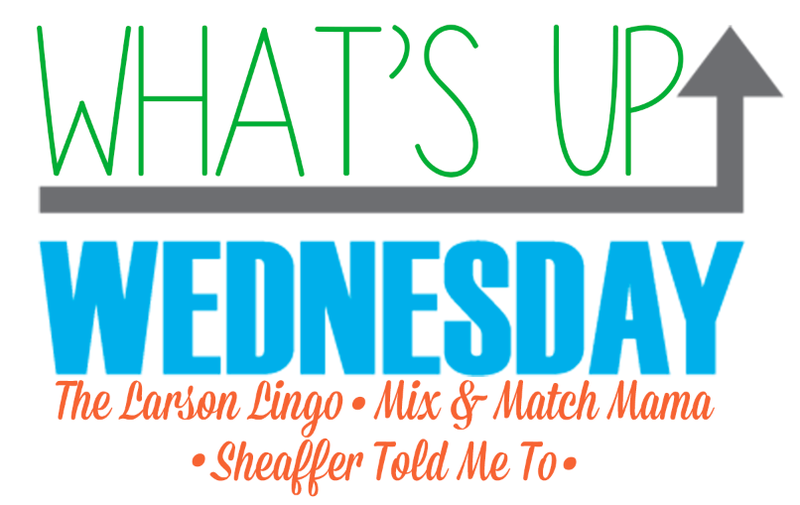 Thanks for joining me for one of my favorite posts- What's Up Wednesday! I'm linking up with Mix and Match Mama- let's get started! Seriously! So good! You all may know my LOVE for Brene Brown and so I really love Glennon's books too! I highly recommend! This is Us- I'm sure if you're on social media, you've heard about this show. It's so dang good. I had my reservations because they were claiming it was the next Parenthood (my ultimate favorite show) and I just couldn't see anything living up to what Parenthood was. But guys. I think they were right! We finished Stranger Things on Netflix last month- if you're looking for something to watch, I highly recommend! I wanted the look of our living room to be a little funky and modern. I chose this rug and wanted decor to match the feel of the rug. Colorful and fun. I found this cow painting at At Home and instantly fell in love and thought it matched the space perfectly. My husband's response to the cow painting was- "it's a cow." Yup, she sure is and what a beautiful cow she is =) The girls have named her Rainbow. ANYWAY, I've been wanting to find other art to fill the very large wall that Rainbow and our big clock is on but I just couldn't find the right piece(s). I decided why not let the girls paint some art work and I will frame them in gold frames I found at Target and call it a day. They finished their paintings last night and I can't wait to see the end result! Click here for pics of our home! Other than my usual Pandora stations (Ed Sheeran, Today's Country, Pop and Hip Hop Power Workout) I haven't listened to any PodCasts lately- anyone have any suggestions?